I don’t think I’m going to watch Scream: The TV Series. First of all, it’s an MTV show and their track record doesn’t inspire confidence (two words: Teen Wolf). Also, I’ve written before about my waning support of the Scream franchise, and this show doesn’t give me much reason to believe it will do anything worth checking out. That looks like the face of a blowup doll for albino fetishists. Less comically, this mask fails at appropriating the iconography of the Ghostface mask by distinctly humanizing it. The spectral, Edvard Munch-ian original worked because of it’s exaggerated look and its cheapy costume shop design. This new mask looks like it was meticulously crafted by someone (both in the real world and the fictional. Five will get you ten that it ends up being a death mask mold of someone who ties into the story), with bolted on leather straps because GRRR HORROR GRRR. This thing is only a few steps away from being something you’d see in the WWE. 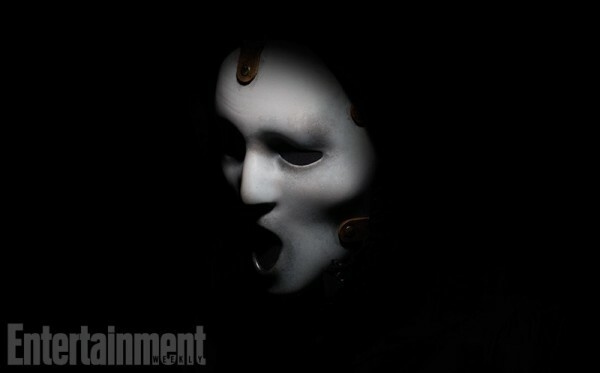 Maybe Scream: The TV Series will surprise everybody and this mask will look astounding in action. Get back to me on that, will you Chewers?